illustrated throughout with over 100 illustrations. The book calls for integration, a convergence and confluence of social and technical factors, discovering the capability and culpability of such; for architects to finally realize that the term building systems is best grasped as a verb, not a set of nouns. 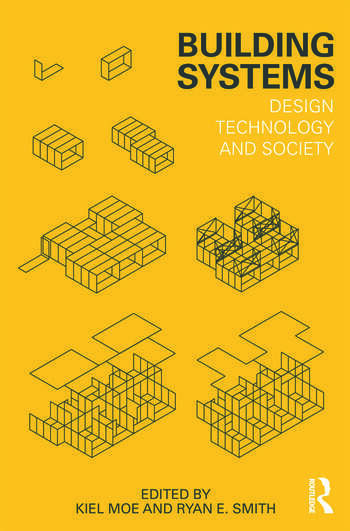 This reader presents students, faculty and practicing architects with an expanded view of technology in architecture that transcends naive determinisms and technocratic applications; forming a more pithy intellectual context for the complex and contingent roles of technology in twenty-first century architecture. Kiel Moe is Assistant Professor of Architectural Technologies at the Harvard Graduate School of Design. Ryan E. Smith is Associate Professor and Director of the Integrated Technology in Architecture Center at the University of Utah, College of Architecture and Planning.